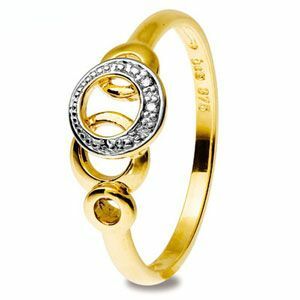 Modern design 9 ct gold ring with circles and three diamonds. Gemstone: 3 x Diamond J colour P2 clarity 0.005 carat. Material: 1.7 x Grams solid 9ct. yellow gold. 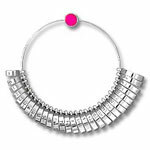 Type: diamond circle of life ring.